In a monumental lecture, L. Ron Hubbard establishes that Scientology continues the traditions that created the great civilizations of this universe, fulfilling their finest and oldest aspirations. And since those very aspirations dwell in all human beings, a well-directed communication of the discoveries, purposes and uses of Scientology will gain immediate support. Here is a technology on how to communicate Scientology that is not only essential to dissemination, but may well determine the woof and warp of future civilizations. In the late 1800s, a subject alien to the tradition of centuries invaded the philosophies and mental sciences. Upending long-established customs and mores that taught the pursuit and articulation of truth, this intruder held that knowledge about Man should be used not to enhance his strengths, but to exploit his weaknesses. And as decades passed, manipulative control mechanisms came to usurp traditional teachings. In a lecture monumental in scope, L. Ron Hubbard establishes that whereas an invalidation of its customs will cause the downfall of a civilization, the traditional philosophic attitude has been inherited by Scientology. For Scientology continues the traditions that created the great civilizations of this planet and universe, building upon them and fulfilling their finest and oldest aspirations. And since those very aspirations dwell in the breasts of all human beings, a well-directed communication of the discoveries, purposes and uses of Scientology will gain immediate agreement and support. 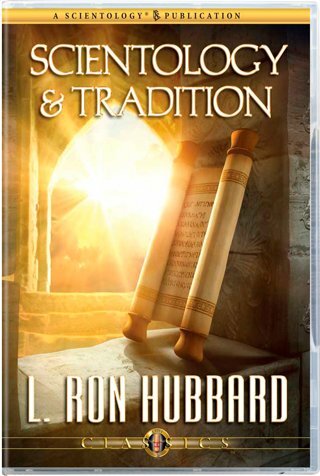 To that end, Mr. Hubbard delivers a comprehensive, 360-degree account of how Scientology basics correlate to the customs, mores, policies, laws and traditions that make up the fabric of a culture. Here is a technology on how to communicate Scientology that is not only essential to dissemination, but may well determine the woof and warp of future civilizations.